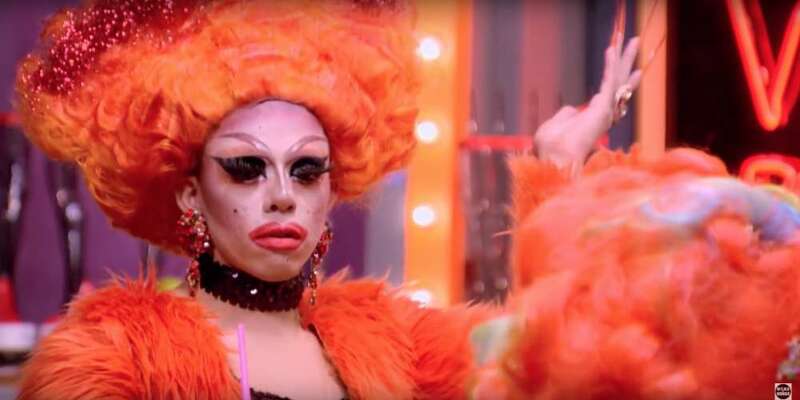 Aja didn’t quite slay the competition this past season on RuPaul’s Drag Race but she did end up winning hearts and minds with a confrontational attitude that made the reunion so freaking good. 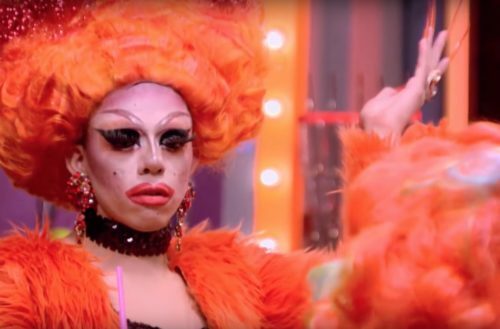 Her rant about Valentina — “You’re perfect, you’re beautiful, you look like Linda Evangelista” — was possibly the season’s most quotable moment, and we’ll likely get more from her when Aja comes back for the next edition of All Stars, premiering on VH1 sometime this winter. Before she re-enters the workroom, though, Aja is on the road performing. During a recent gig, Aja fell right off the stage, and many in the audience thought she had hurt herself. While lip syncing to the Madonna track “Frozen,” Aja shimmied backwards from the front of the stage without looking behind her. Aja fell right off the back of the platform, dropping what looks like three or four feet to the ground. Aja wasn’t harmed during her fall and finished the performance flawlessly, like only a true “All Star” can. Many on social media rose to Aja’s defense, saying she bounced back from the fall like a true pro. RuPaul’s Drag Race All Stars is set to premiere this winter on VH1.